Help put a bit of magic in the lives of kids in need this holiday season! It’s hard for many of us – adults or children – to imagine not being able to celebrate during the holiday season. But for many of the families that we serve, finding the extra money to afford a holiday celebration is a struggle at best, and frequently impossible. 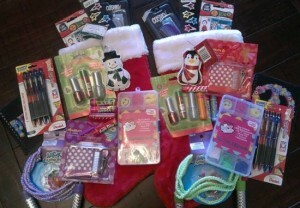 You can help by stuffing a stocking for a child (or for an adult!) living in poverty this holiday season! When you’ve finished stuffing your stocking…. send us an email at moreinfo@family-to-family.org and we’ll link you with either a local shelter where you can bring it, or to one of the impoverished communities we help where you can ship it. Either way, an outreach worker will hand out your stocking to a mom or dad in need to give to their child, or to an adult in need! 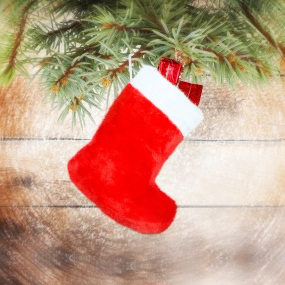 THE LAST DAY YOU CAN DROP OFF YOUR STOCKINGS IS DECEMBER 14TH!! Don’t have time to make a stocking? Donate below and we’ll stuff and deliver a stocking for you!